Pick up the latest issue of FRAME Magazine (Issue 76 Sep/Oct 2010). A. Kinney Court was featured along with other really interesting interior work from around the globe. 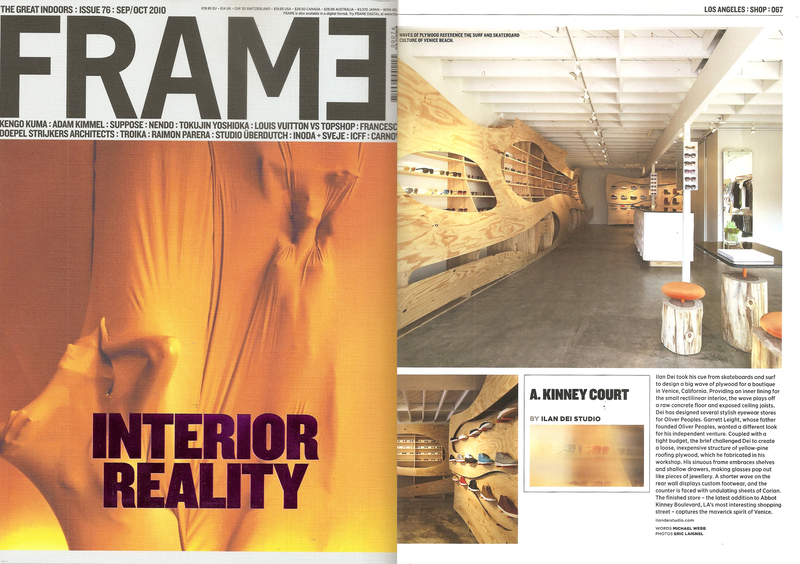 Ilan Dei Studio was recently feature in the April 2010 fashion Issue profiling A. Kinney Court. 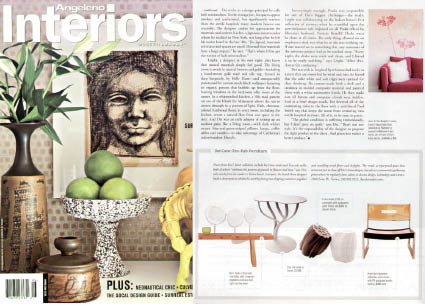 Ilan Dei Studio was recently featured in an Angelino Interiors Magazine article entitled “Project Green Knight”. The article explored the thought process and environmental decisions and creative solutions that take place at Ilan Dei Studio. Ilan Dei designs were seen again this spring at April’s High Point International Home Furnishings Market. Having been distinguished this past fall as a 2005 Pinnacle Award finalist for his Windows of Style Bedroom collection, Dei’s highlight for this season was the Bridges Dining collection for Creative Elegance, made from white birch and figured anigre veneer and solid European beech. Bridges Dining appeared in the market issues of Furniture Today, InFurniture and Fine Furnishings International magazines.